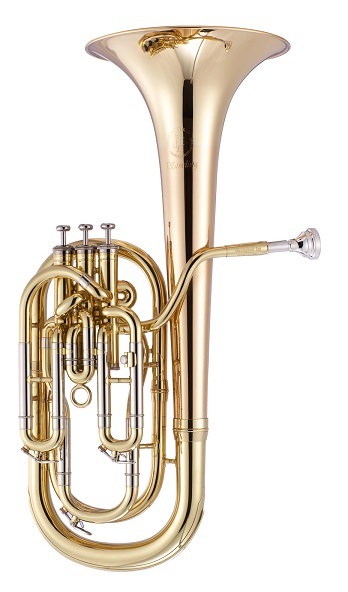 I specifically took a John Packer "Sterling" series model JP 373 (English style) 3-valve compensating Bb baritone to the Army tuba conference, and - during quieter times - played it a bit, as did quite a few of the attendees. With English baritones, resonance range of each pitch is more narrow, so "good intonation" is important. At first (small instrument, small mouthpiece) I wasn't doing as well as I liked, but as the instrument warmed up - and as I acclimated myself - I found it to be quite nice and to behave quite well (specifically: as far as "capability of playing an in-tune chromatic scale" is concerned). English-style compensating baritones aren't particularly common (other than the confines of brass bands) in the USA. Those that are mostly found for sale in the USA seem to be hastily-assembled (valve post alignment issues, etc.) and out-of-tune-playing lower-end Chinese mock-ups. These are typically found in the under-$400 range, or essentially the same instruments are sold by others for nearly double that amount. 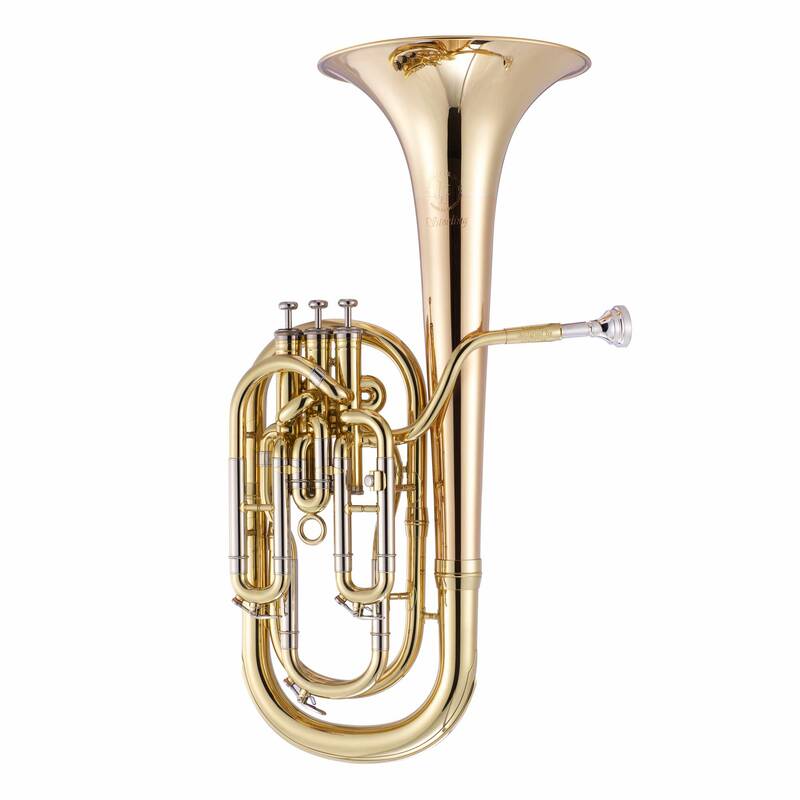 The JP STERLING series JP 373 (again) requires a little bit of "HEY bLOKE, this is NOT a euphonium!" learning curve, but - once the "flugabone/valve trombone" chops are re-located, it plays quite nicely, and just about the same as (on rare occasions) some really pricey (older English-made or German-made) ones. Other than brass-band use, it may (??) be difficult to justify owning one, but (as far as "your trombone colleague in your university's faculty brass quintet", etc.) if you're tackling some romantic era works or (well, duh) Ewald, it's just the thing...smoother and rounder than trombone, but not as overwhelming in the quintet texture as a euphonium in the 4th voice. ...and the JP 373 STERLING model (unlike the under-$400 to nearly-$800 cheapo's out there), is a real musical instrument with good usable intonation and properly-constructed and properly-aligned pistons/casings. This was the first time I managed to be able to check one out, so now I feel as though I'm able to recommend it (admittedly, for those few who might find use for them in the USA) as a "buy". We don't advertise below-MAP pricing, but we're selling these JP 373 STERLING compensating baritones for roughly the same price as we're selling the new wildly popular JP/RATH 333 bass trombone.